What are the two easiest gifts in the world to give grandparents? A super-sweet and lovely-to-look-at edible, or a book. Take it from a grandmother: This time, don’t go there! Gifts that please grands the most and last the longest come straight from the mind, heart, and hands of their grandchildren. 1. One gift the grands will cherish forever? A significant-sized painting or drawing by the child, professionally framed and presented as a serious gift – which it promptly becomes. Think about it! Much children’s artwork far exceeds, in quality, some of Picasso’s and other artists’ eccentric output. But I’m sorry Mom and Dad, just sliding a painting into a folder won’t work, even with Merry Christmas in colorful lettering on that cream-colored cardboard. Oh, no. Choose a favorite painting or drawing from recent months – a home or school production – and have the child sign and date it on the lower front, if he has not done so. (Art teachers who require students to sign work on the back have good reasons, but here, those reasons don’t apply.) To flatten the work for framing, lay clean white paper or a clear plastic bag over it, stack books on top, and forget it for a few days. Then take it to a reliable framer, and with the young artist, choose a mat and frame. After the framer calls and you have the finish product at home, keep it unwrapped and in evidence for a few days for family art appreciation. Get a vow from your child not to tell the secret until the celebration. 3. 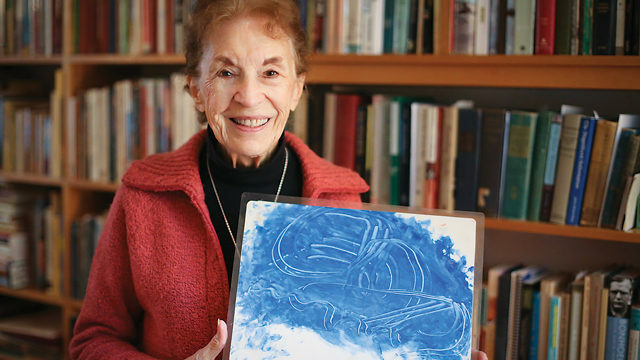 Smaller paintings and drawings, bound into a book, offer similar gift-giving satisfaction. Have your child sign and date each work at its lower edge. Mount each on the same size background sheets, allowing for margins. Bind the pages at home, with holes punched neatly and high-quality cord tying the pages, adding stiff covers (mat board from a craft store works), a title page, and flyleaves at the beginning and end of the book. Having the book bound at an office supply store makes this gift even more impressive. Shop around! Prices are all surprisingly reasonable, but choices and sizes vary. I can guarantee you, the grandparents will never slide this one on the shelf to become just one more book. It advances to coffee-table prominence! 4. From the visual to the literary, consider giving a child’s thought-filled journal – hand-written, typed, or a mix of both. The kids could share a great week at music or baseball camp; a special vacation trip with a deliberate focus; the first overseas holiday; a mission trip with the church; gratitude for, and experience with, the ultimate fishing pole or other gift the child has received from the grandparents. If your kids were fortunate enough to have shared a trip or a recent event with their grandparents, this journal is an even better gift. The youngster’s responses enrich the happening for the grands as they read the child’s viewpoints while recalling their own memories. Remind your child to date each entry. He can illustrate the portfolio with drawings or photographs. Resist the urge to make corrections or changes on a younger child’s work, but for the older ones, an edit for lapses in mechanics might be necessary. Remember, it’s not enough to slip this precious collection loosely into a manila folder and hand it to the grands. Please take the time and the small expense to bind it with care or have it professionally bound. 5. From the literary to the musical! A young child’s singing voice is the sweetest sound – and the most fleeting – imaginable. Record your child singing solo, as half of a duet with a sibling or a parent, or as part of an ensemble with family members. If he sings with a school chorus or a church choir, include a performance from the group on the CD. The same routine would work if your child plays a musical instrument. Include a card or folded information sheet the same size of the CD container, and label it with the performers, dates, instruments, and whatever else matters. Of course, the grandchild should write and illustrate the accompanying material. Believe me, this kind of meaningful gift-giving carries important messages for the giver and the lucky recipients. Think a few weeks ahead (there’s still time! ), plan with your child, and this holiday, you can be a part of the bonding and pleasure that speak of giving from the mind, heart, and hands.